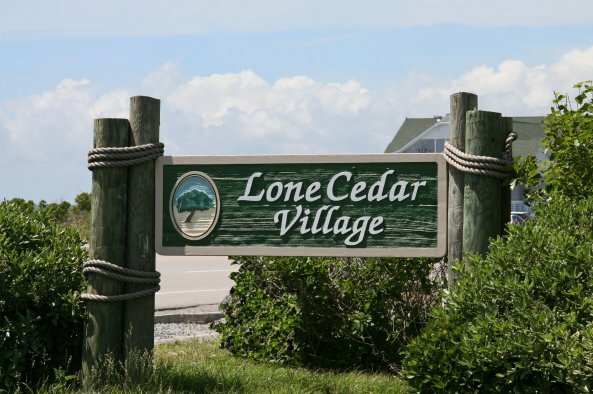 Lone Cedar Village is perfect for a unique Outer Banks vacation. This community of single-family homes is surrounded by water on the Nags Head-Manteo Causeway, giving you three hundred sixty degree water views from most homes. Basnight's famous Lone Cedar Cafe is right across the causeway (US 64) and beach access with parking is as close as Jennette's Pier at milepost sixteen and a half.